When Square Enix announced Just Cause 3 would release in 2015, I simply said, “Take my money.” This over the top action series has been one of my favorites since it debuted on the Xbox 360. After spending some time playing this game, I felt the need to tell you if this game if worth you money. Like previous installments, Just Cause 3 is an over the top sandbox video game that contain explosion mechanics that can rival a Michael Bay film. Not everything in the world can be destroyed, but those elements that do explode contain a unique physics engine that makes every attack seem different. While taking out a group of soldiers, I inadvertently hit a gas pump which produced a myriad of destruction through a fluid butterfly effect. While destruction is the shining grace in this game, there are some small concerns with the game. Once concern, that can make you stop playing the game, is the repetitive nature of the game. While Just Cause 3 is a huge and beautiful world, a lot of its side missions repeat itself. You can destroy a police station, take out some enemies, blow up some items, raise a flag, and that is the constant recipe for taking back the country from a tyrannical antagonist. It often seems too repetitive outside of the main story line. The only benefit for taking over the land is to unlock new challenges and missions to explore the protagonist’s abilities. Just Cause 3 has some unique and fluid mechanic that challenges and entertains the player with different abilities. You can take out the enemy AI through some simple shooting mechanic, but it is much more fun to utilize other mechanics to deploy some creative takedowns. I accidentally stumbled upon running up to one enemy, attaching an explosive on his chest, and detonating it after I got to a safe distance. Not since Red Faction Guerrilla have I had so much fun with destruction and character abilities. You’ll want to acquire all the different abilities, weapons, and vehicles you can because Just Cause 3 throws a lot of simple AI enemies your way. It almost seemed necessary to run away from certain fights because you can get outmanned in a moment’s notice. I wouldn’t say getting overrun is a bad thing in a video game, but Just Cause 3 has a major problem with frame rates and loading issues. I dies in the middle of the first mission to discover the load time for the first mission is longer than expected. The load times are only limited to the character deaths and starting up the game and they don’t interfere with the game’s lackluster story. 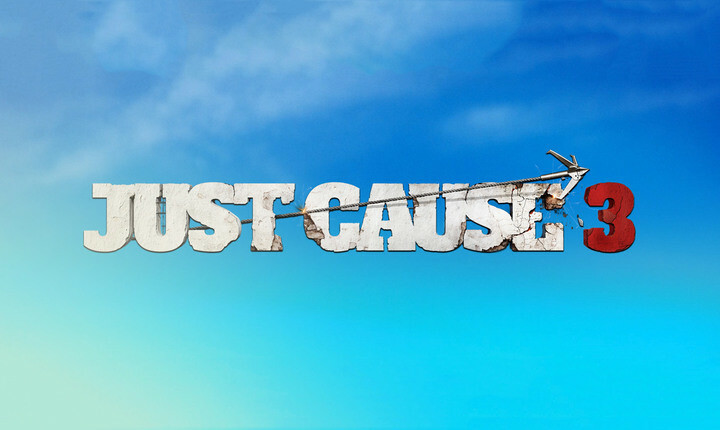 Just Cause 3 doesn’t deviate from the same story style as its predecessors and can be easily skipped. Some character even realize they are in a lousy story and make fun of it, but the plot seems to run thin as you get into later stages of the game. If you want to avoid a simple story and focus on a fun open sandbox game this lots of destructible features, Just Cause 3 is a great game that contains tons of unique weapons and vehicles for your enjoyment. Looking for my lost bag of Doritos.